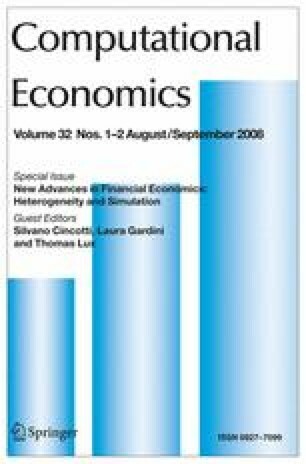 In a simple model of financial market dynamics, we allow the price of a risky security to be set by a market maker depending on the excess demand of heterogeneous interacting traders, fundamentalists and chartists, who place their orders based upon different expectations schemes about future prices: while chartists rely on standard trend-based rules, fundamentalists are assumed to know the economic environment and to form their beliefs accordingly. As price moves away from the long-run fundamental, fundamentalists become less confident in their forecasts, and put increasing weight on a reversion towards the fundamental price. The resulting two-dimensional discrete time dynamical system can exhibit a rich range of dynamic scenarios, often characterized by coexistence of attractors. A simple noisy version of the model reveals a variety of possible patterns for return time series.